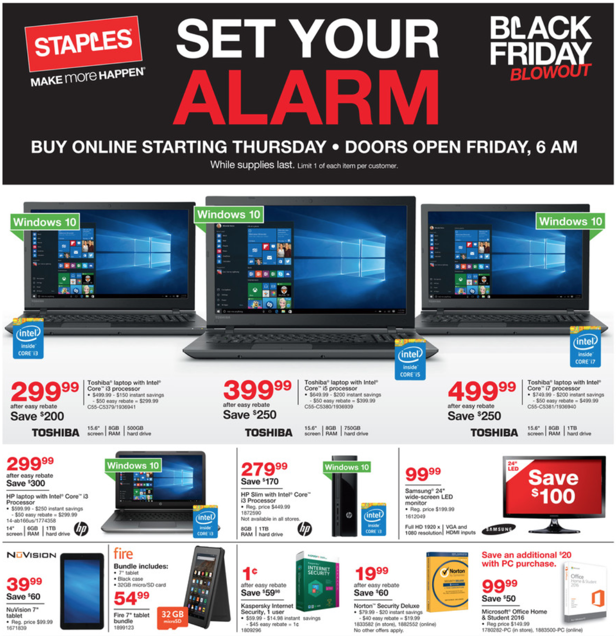 Here is the Staples ad for Black Friday. This Staples weekly ad is valid for November 26 – 28, 2015. This week Staples is offering a great sale on printers. Staples is an office supply store with great prices on computers, paper, printer ink, and other school supplies. **Some exclusions may apply. **Staples store ad selection & pricing is based on the Vernal, Utah region.